We are reliable manufacturer, distributor of Water Pump, that are also known as Water Transfer Pumps. We have designed and engineered this pumps in several specifications on the basis of standard industry requirements and recommendations of our customers. 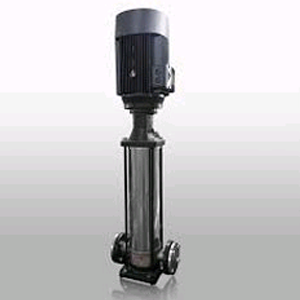 Hence, our pumps meet all the possible requirements without any extra requirement of tweaking or modifying. These water transfer pumps are ideal for clear water and have a unique design. Further, their construction is done with compact size and standard dimensions making them easy to handle and completely reliable. Our Industrial Water Pump work using electric power. It has an in-built mechanical seal along with ball bearings. This unique feature allows it to be installed in all positions, including the inclined ones. If you need to use these water pumps with air filled or oil filled motors, then we can customize them. Sedimentation tanks and many more.